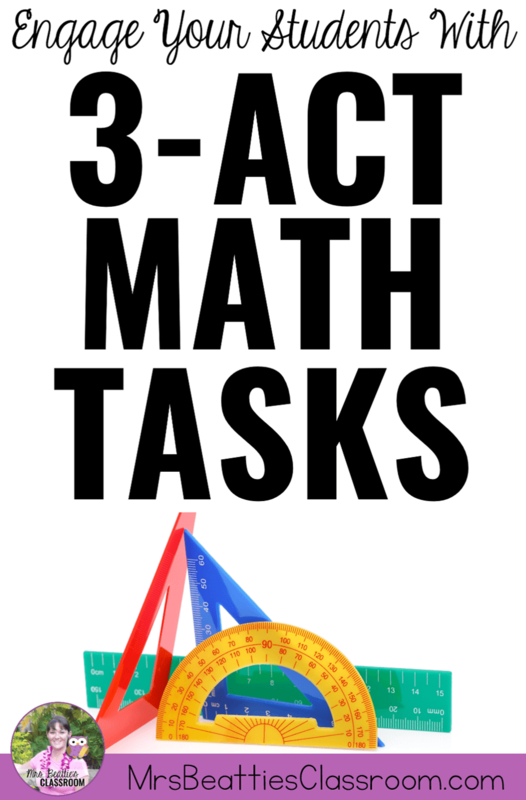 3-Act Math Tasks were introduced to the world in 2010 by high school teacher Dan Meyer. 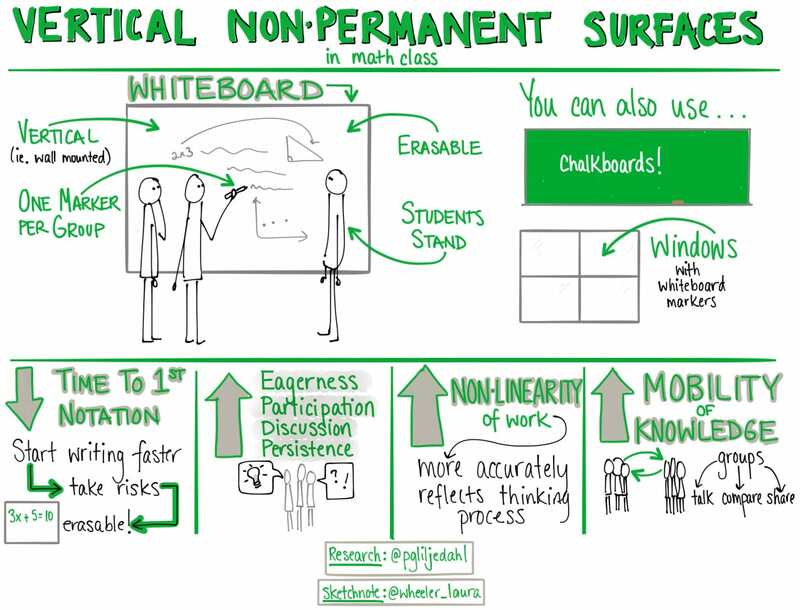 3-Act Tasks are a whole-group mathematics activity which has students collaborating in randomly-created small groups on non-permanent vertical surfaces (more on this in a second). To begin my 3-Act Task, I get my students organized into completely random groups of three. I do this by having each student pull a math manipulative out of a bucket that I've organized for the number of students present on that day. Everyone with the same piece becomes a group. Students become agreeable to work in any group they're placed in. There is increased mobility of knowledge between students. There is a reduced reliance on the teacher for answers. There is an increased reliance within and between groups for answers. Engagement on the task increases. Enthusiasm about the class increases. Sketchnote used with permission from Laura Wheeler. Student groups get organized around the perimeter of the classroom at "non-permanent vertical surfaces." Each group is given only one marker, and the expectation is that the student who is writing is not sharing their thoughts. To contribute, the marker must be passed to another group member. They take more risks because the work is easily erasable. Student participation, eagerness, discussion, and persistence increase. Student work more accurately reflects the thinking process. 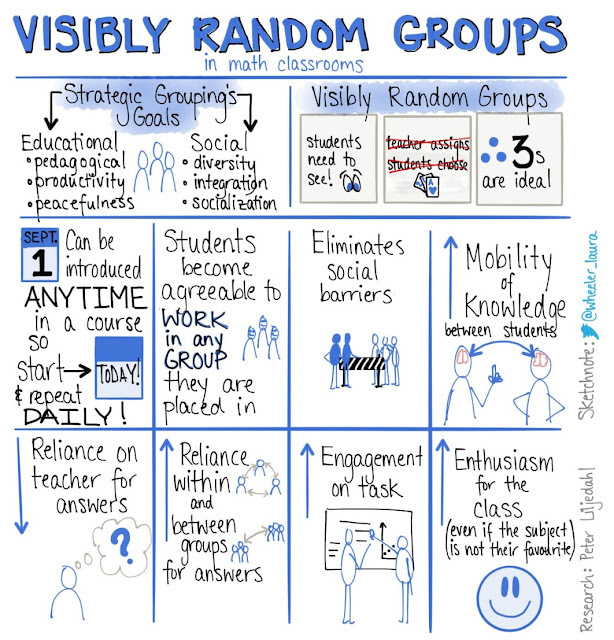 Groups are more likely to talk, compare, and share ideas. Our school ordered Wipebook Flipcharts for each classroom for this purpose. One of the most important things the teacher must do before beginning a 3-Act Task is to anticipate student responses. If you want to be prepared to stretch your students' thinking, you need to consider what they already know and all the different directions they may take their solutions. Anticipate questions students will have, possible strategies they will use, and possible solutions you might see. In Act One, I share a very short video or a photograph with very little additional information, and I ask my students to record what they NOTICE and what they WONDER. At this stage, I am intentionally holding back information to increase my students' curiosity about what is happening. After sharing what students notice and wonder, I have them record the best math problem they can ask about the scenario they were given. I sometimes take one of my students' questions as the focus for the task, but generally, I have my own math question already planned. The great thing about anticipating student responses is that I usually have a good idea of what they'll come up with when I'm planning. One prediction that is much too low. One prediction that is much too high. One prediction that represents their best guess. During Act Two, the students dig deeper into the problem. I ask them to consider what questions they need answers to, or what information they require before they can find a solution to my problem. At this point, I'll share some "hints" or additional information to get them started. The students then work together on their non-permanent vertical surfaces to solve the problem and show their thinking. As students work, the teacher's role is to circulate between the groups, asking questions and noticing strategies. You need to decide which strategies you'll be presenting to the whole group in Act Three. Act Three is all about the teacher. At this point, I reveal the solution to the problem and explore the variety of student solutions in a "Teacher Talk" format. My students don't explain their work to the group, I do the explaining for them. Sharing strategies I've noticed groups use. Explaining how some strategies are more efficient than others. Introducing the formulas or algorithms my students could have used. Demonstrating how the organization of the work is important for clear communication. 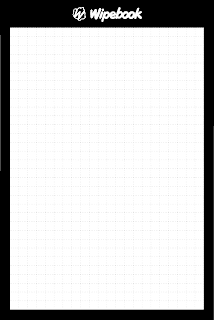 Giving examples of how communication could be made clearer. 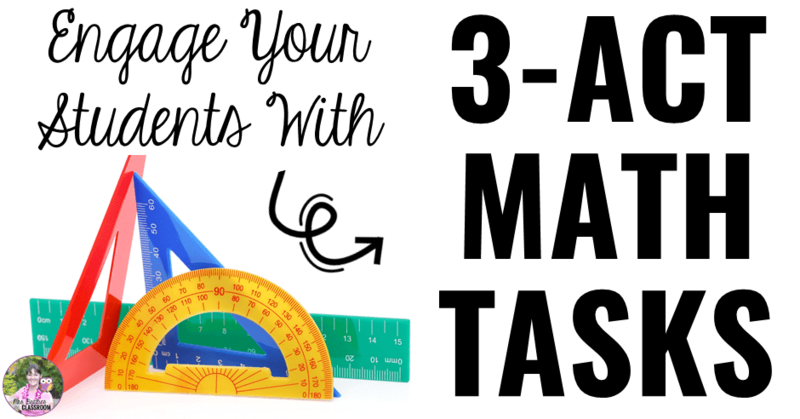 Planning for 3-Act Math Tasks is the simplest job I have all week. 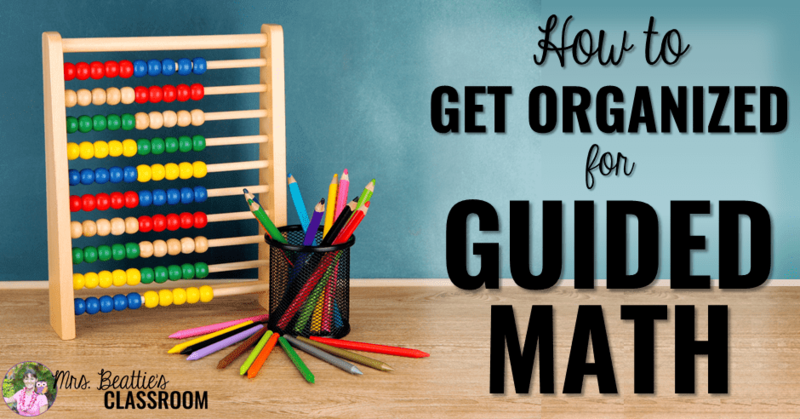 There are SO many ready-to-go resources available online, that it takes me next to no time at all to plan my lesson. Know of other sites or resources for 3-Act Math problems? Share them in the comments below! Check out the resource "5 Practices for Orchestrating Productive Mathematics Discussion" for more info on how to create productive classroom discussions in math. Hi Erin, I love this idea and I'm wondering if you have suggestions of videos/pictures that would be good provocations for Grade 2? Thank you! Hi there! I don't have any that I created myself and have the right to share, but if you click on the links in the post you'll find tons of great examples! Most of them are graded to give you an idea, but I've used tasks well below my grade level and they are still very engaging and appropriate.